Major changes are coming to the Oscars next year. The Academy Awards broadcast has been facing some troubles as of late. Specifically, ratings have been dropping severely and much of that has been blamed on the fact that many of the movies being honored in the top categories aren't necessarily all that popular with the moviegoing public. 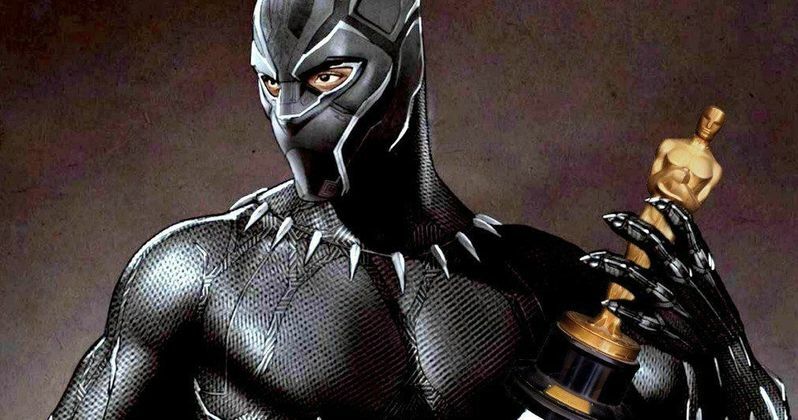 The Academy of Motion Picture Arts and Sciences has made some changes to amend the situation, including the addition of a new category to honor popular movies. Here's what they had to say in a message sent out to members recently. "We will create a new category for outstanding achievement in popular film. Eligibility requirements and other key details will be forthcoming." There are sure to be mixed feelings when it comes to something like this. On the one hand, it will give the Oscars a chance to honor movies such as Black Panther, Avengers: Infinity War or Mission: Impossible - Fallout that would assuredly have a much more difficult, if not impossible time being nominated for Best Picture. On the other hand, it could run the risk of cheapening the idea of what the Academy Awards are in the first place and could wind up closer in tone, at least in part, to something like the MTV Movie Awards. Another new, major change will be trying to keep the Oscars broadcast to a tight three hours. In order to accomplish this, not all of the categories will be presented live. Some will be presented during commercial breaks at the Dolby Theatre, with the key moments being edited into the broadcast later. "We are committed to producing an entertaining show in three hours, delivering a more accessible Oscars for our viewers worldwide. To honor all 24 award categories, we will present select categories live, in the Dolby Theatre, during commercial breaks (categories to be determined). The winning moments will then be edited and aired later in the broadcast." This change passed the voting process, which signifies how important it is to make the Oscars broadcast more appealing to a wider range of viewers. Still, this is sure to make many Academy members unhappy, since it could run the risk of undermining some of the minor categories. The Academy's board of governors is aware that the world is changing and they need to adapt in order to stay relevant. "We have heard from many of you about improvements needed to keep the Oscars and our Academy relevant in a changing world. The Board of Governors took this charge seriously. We are excited about these steps, and look forward to sharing more details with you." One final change was also announced. The Academy has shifted the date of its 2020 broadcast, which will honor 2019 releases, from February 23 to February 9. This is likely to get out of the way of some of the other awards ceremonies that take place around that time. 91st Oscars telecast is currently scheduled for Sunday, February 24, 2019. This news comes to us courtesy of The Hollywood Reporter.